And then I kept crying and crying and crying. The pain of that moment turned into the outpouring of the intense pain I feel at times about this season of life. This season of young children who need you for EVERYTHING – eating, pooping, talking, drinking, dressing. This season of young children where it feels like you have to say “no” to so much – so much that you like and find pleasure in and that’s fun and thrilling and that you get to do when you want to do it and perhaps all the things that you have previously found some identity and affirmation and validation in. This season of young children where you find yourself saying, “Do I have to give up one more thing?” Yes, this season. It feels so unfair. OK, so I could go on about this season. I think you get the picture. But today, my intent is to share something a friend so graciously and truthfully told me last week. She told me that there’s going to be a day when I finally accept the reality that I’m in. She also had the honesty to say that what I will come to accept, I will also come to understand isn’t fair. But, before I come to the place of acceptance, that I will need to grieve…grieve what has been taken from me, grieve what I’ve chosen to let go of, grieve what has changed. Plainly, I need to grieve before I can accept. I knew she was spot on. I’ve seen it. I’ve experienced it. When we don’t grieve, our pain and disappointment can easily turn into resentment or anger or sarcasm or depression or addiction. 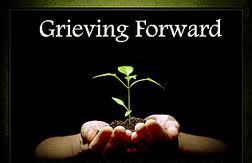 Perhaps, this was what my tears were about the other day…my grief – mourning what has changed. There was something that felt calming in her words. I think in her saying that I knew she really heard what I was disappointed in – not in being a mom, not Skyla or Zane, not even in myself, but what I’ve lost. It took guts to say that to me. No one has said that to me before. A lot of women wouldn’t dare speak that because of what it implies about how they feel. I so respect her honesty and somehow in her honesty I felt hopeful. Hopeful that I can do this. Hopeful that I can do this with grace and humor and love. Hopeful that this season can make me more like Jesus…if I let it. If I let go of it. So, as I follow a few (or a lot) steps behind some of you, know that us moms need your voice, your honesty, your vulnerability, your truth. Because in your stories we can find ourselves and find what it takes to keep going. So, here’s to grieving…whether it comes in the quiet and isolating moments at home, or when you’re zooming through the grocery store aisles because one of the kids is going to lose it, or each time you go to check your email, or as you watch your spouse leave for work, or when you find yourself wishing the water would get hot before you have to get out of the shower, or when you see the clock before 7 am, or when you chose to say “no” to that experience you really wish you could have. Let’s give ourselves permission to be sad and disappointed about what we have lost…what has changed. And then, let’s have the eyes to see the good in this season so we can step into it with honesty and integrity and acceptance. Let’s remind ourselves that this role we said, “yes” to is just as crucial and defining and life-giving and important and spectacular and entertaining as the life we may have led…before kids. Let’s give ourselves permission to accept our reality so we can be fully present in this season and offer acceptance to those in our home.